When Nell West starts extending her antique shop in Oxford, she is not expecting to uncover strange fragments of its past– fragments that include a frightened message scribbled on old plasterwork,dated 1850 andreferring to someone called Thaisa. The building dates back to the early sixteenth century and has a mysterious link with a village on the Dorset coast – a village with an ancient bell tower and dark memories of a piece of music known locally asThaisa’s Song.The tower is derelict and the sea is gradually encroaching on it, but the old Glaum Bell still hangs in the lonely bell chamber, and although it was silenced after an act of appalling brutality during the reign of Henry VIII,local people whisper that its chimeisstill occasionally heard. 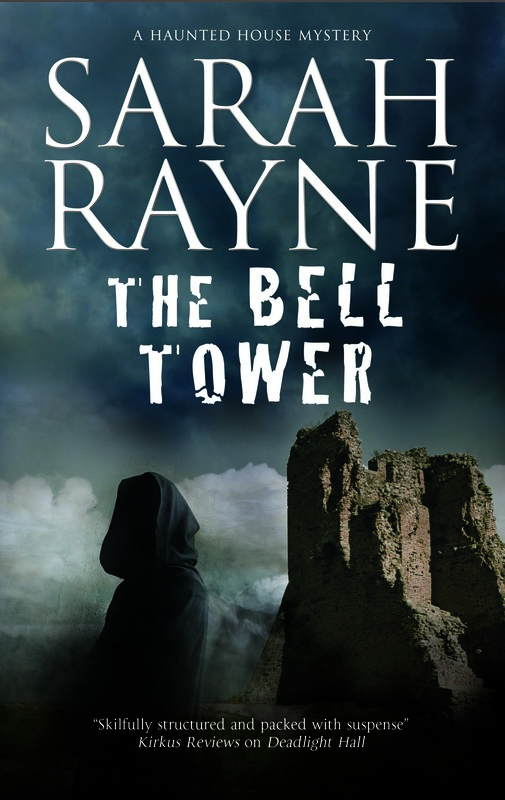 Nell and Michael Flint discover that thetower is mysteriously entangled with the story of Thaisa – also with the eerie Thaisa’s Song and with the 400-year-old tragedy that has echoed down the centuries ever since. ‘I think I have about three hours left before I die. There’s no means of telling the time in here, but I have to accept that I’m trapped inside the bell-ringing chamber. It’s a terrible place. The stench is like the rotting carcases of a thousand fish or the putrefying souls of all the sinners who ever lived. I make no apology for the extravagance of that description, for surely a man is entitled to extravagance when facing death. Darkness is closing down and the tide is coming in. The sea will wash into the tower below me, and inch by inch it will come up into this room – the level will gradually rise until it reaches the ceiling above my head. Even in this uncertain light I can see exactly the level the sea will reach – it’s left its salted print all around the walls, near the ceiling. If I could get out of this room and go up to the bell chamber itself, I should be above the sea’s level, but I can’t get out, so I shall drown. As I write thisI can hear the sound of soft, sweet singing quite close to me. I know it cannot be real. I know it will be part of the madness. It will be a terrible irony if my madness takes the form of hearing music that can’t exist. Music has been my life – is it to accompany me to my death? The singing is louder now. I can hear the words and I understand them. I understood them on that night I first heard this music. I heard it emerge from its cobwebbed dimness, and I felt the life breathing into it. The music is known as Thaisa’s Song.I made copies of it so that its beauty and its strangeness could be heard once more. I thought I was doing something good and useful. I didn’t know, not then, what the music really was. Now I do know.